Navigating your way through the world of cleansers can be testing – will a face wash dry out my skin? Can you rinse off cream cleansers? What’s a powder cleanser? (new to me too). The questions are endless but it’s worth it when you find the perfect one. I’m going to take you through the ones I’ve tried, tested and highly recommend – from the different types of cleansers and what they specialise in, to the cleansers that will fit perfectly into your skincare routine and lifestyle. Pure Skin Face Wash is a sulphate-free, wash off cleanser that removes dirt and balances excess sebum. It’s ideal for normal, combination, oily, blemished and acne prone skin and will not leave your skin feeling dry. It’s also great if you like the refreshing feeling of a face wash that wakes you up in the morning. Balance Me is free from parabens, DEA, mineral oils, sulphates, pegs, petroleum, silicones, propylene glycol, microbeads, artificial fragrances and colours and they never test on animals. This Cleansing Oil is an excellent solution for both removing makeup (even waterproof mascara and eyeliner) and dissolving impurities from skin, all while nourishing skin. When massaged into the skin it cleanses the skin without leaving it feeling dry or tight. Suitable for all skin types including sensitive skin, Ceramide Replenishing Cleansing Oil can be rinsed off and it doesn’t leave behind an oily residue or clog pores, leaving you with skin that is never dry or greasy. This creamy gentle cleanser effectively removes dirt, make-up and other impurities, leaving your skin clean, smooth and hydrated. The light and nurturing facial formulation maintains the natural protective mantle of your skin and can be used as a daily cleanser. It can be rinsed off just like a face wash or removed with a damp cloth. Eco-friendly organic ingredients that are strictly free of formaldehyde, paragons, phthalates and petroleum. This face wash is a great go-to for the price. It helps remove dirt, oil and makeup that can clog pores and gently washes away impurities without leaving skin feeling too dry or tight. Dermatologist tested and safe for any skin type, even the most sensitive skin. It’s a face wash that’s 100% soap free and safe for the sensitive eye area. This concentrated powder turns in to a creamy cleanser when mixed with water. Ultra-absorbent Bamboo Charcoal clears pores of deep-dwelling dirt, debris and toxins. While the exfoliating formula buffs away dull, dead cells. Skin feels soft, smooth and completely refreshed. Origins has environmentally friendly values and is free from parabens, DEA, mineral oils, sulphates, pegs, petroleum, silicones, propylene glycol, microbeads. No animal products apart from cruelty free bees and no animal testing. 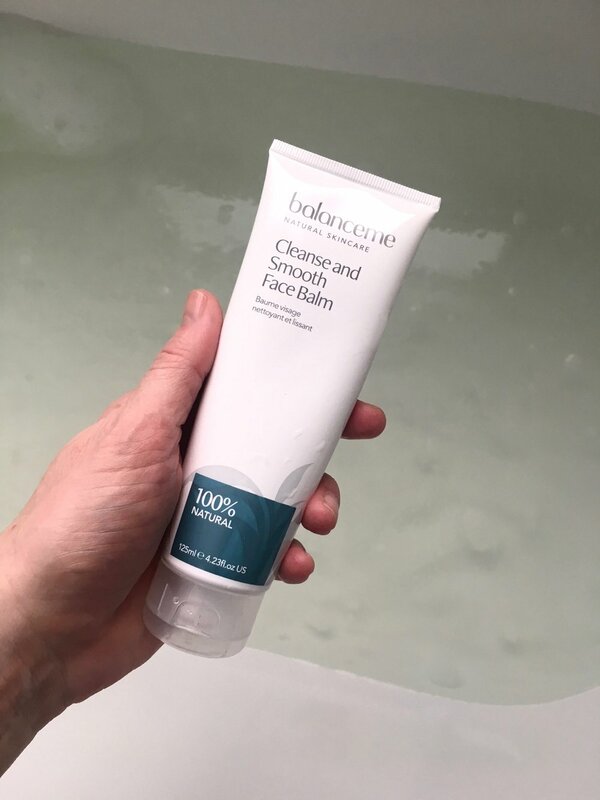 This cleanser removes dead skin cells and impurities and it won’t leave your skin dry, in fact it moisturises the skin, leaving it soft and radiant. It will leave your skin will look smoother and brighter. Mamita is ecological, made from natural plant extracts and it’s cruelty Free. Suitable for all skin types, Balance Me's Cleanse and Smooth Face Balm polishes and illuminates skin. A trio of Shea, Mango and Cocoa butters that are rich in essential fatty acids and vitamins plump and nourish the skin. Oat Powder gently exfoliates, whilst the antioxidant powers of Artic Cloudberry protect and hydrate. Virgin Coconut Oil and May Chang have impressive anti-bacterial properties. This is now my favourite in the depths of winter when my skin is dry from all the elements.